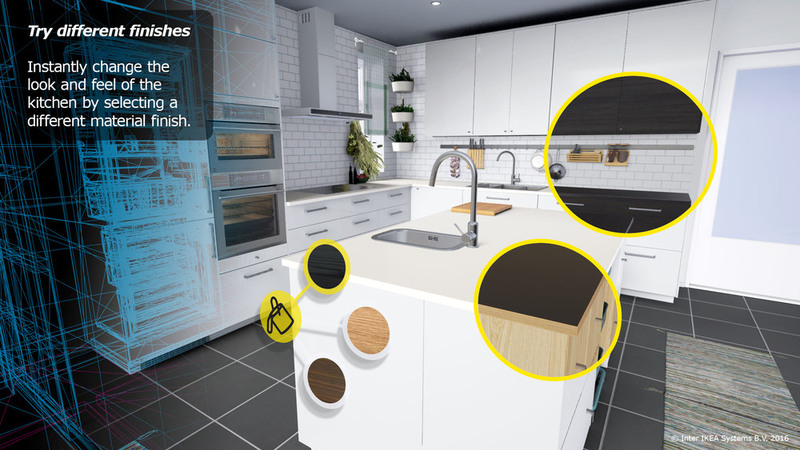 Leaping on the VR bandwagon, IKEA has recently launched an app (free for download in Steam) which lets you create and imagine your own kitchen. This allows users to simply slot in and out the furniture they're interested in, without having to go around and take all the measurements themselves IRL. Nifty feature which allows you to see the kitchen from a child's perspective. This is all very back the future, but we're wondering where the benefits are in innovative design for those in their real kitchens at the end of the day?